Do you know someone who is a travel bug? That has to fly often for work? Does a friend or family member have a long overdue vacation on their horizon? 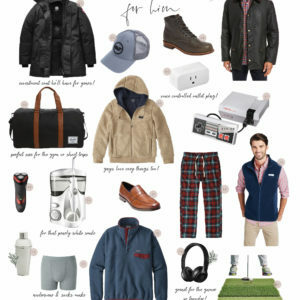 Then this travel holiday gift guide was made for you (and them!) 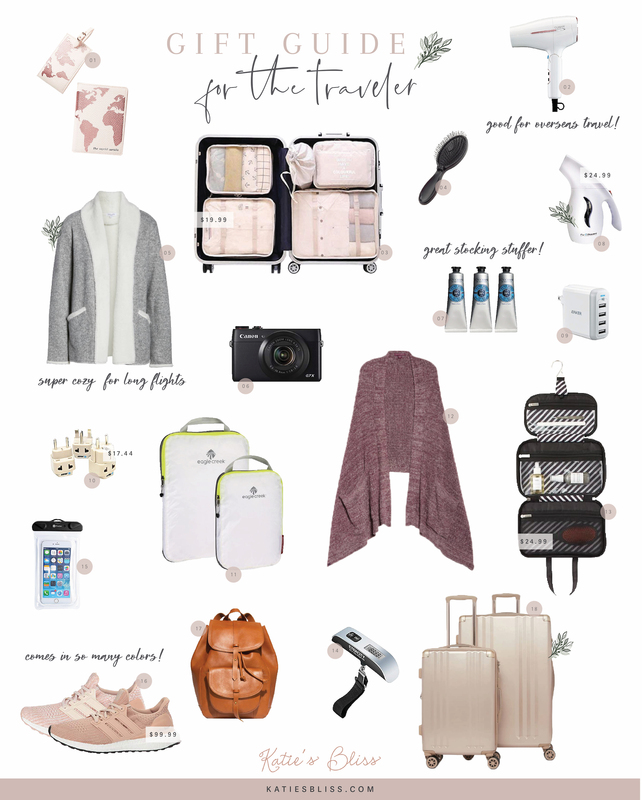 I feel when most people think of a “travel gift” their mind immediately goes to luggage and while there’s no shortage of cute suitcases and bags in stores this holiday season, there are so many other useful budget-friendly items you could gift a travel addict. You’ll see in this guide I included a mix of things, all of which are actually useful. I like this think that there are types of items a person might never think to buy on their own, but as soon as they have it in their life think to themselves… How did I live without this? That was basically me before discovering compression packing bags and luggage cubes. Many of these products I own myself and can honestly say have been game changers in my life when traveling. If you’re shopping for gifts on a budget definitely consider this travel steamer ($24.99), international adapter set ($14.99), travel hair dryer ($29.99), luggage scale ($8.49) or hanging toiletry bag ($24.99). I honestly think that the small unexpected, but super useful gifts are the best! Love these gifts! The packing cubes are the best! Cubes are cool…I’ve never seen them. Can’t beat the waterproof phone holder (just got my FL sister one!). I had a backpack purse thing I used. Unfortunately, a pickpocket snagged my wallet out of it. They brush against you, so you don’t know what’s up. Suggestion, have your wallet and phone in a pocket on your body. That way, if something is taken from a bag or purse, it won’t ruin your trip. Making presents is the greatest art. 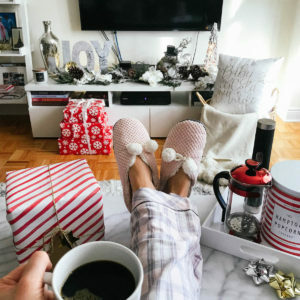 Not so easy to choose an original gift for a loved one, Luxury Cleaning NYC he knows how difficult it is sometimes to find a good gift, it is easier to professionally clean an apartment. These selections are very helpful to help you with the choice, thanks. Love this post! I think I need to gift myself the waterproof i phone pouch! The travel steamer is another great gift idea!